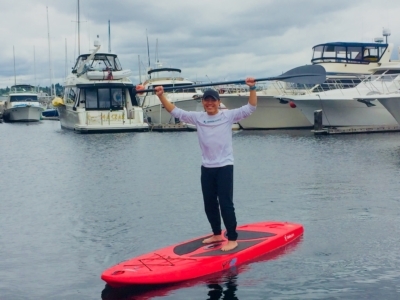 thinkspace Seattle has stand up paddle boards for members that were launched this summer. Peter Chee, founder of thinkspace, demonstrates how non-intimidating this can be for the beginner. One of my favorite things about thinkspace Seattle is that I can see so clearly over Lake Union to Eastlake and no matter today or in five years, it will be the same or similar view; that is they won’t be building on top of water anytime soon. I also find watching the seaplanes taking off and landing fascinating not to mention the fancy of all the yachts, sailboats, and rowers I see daily. 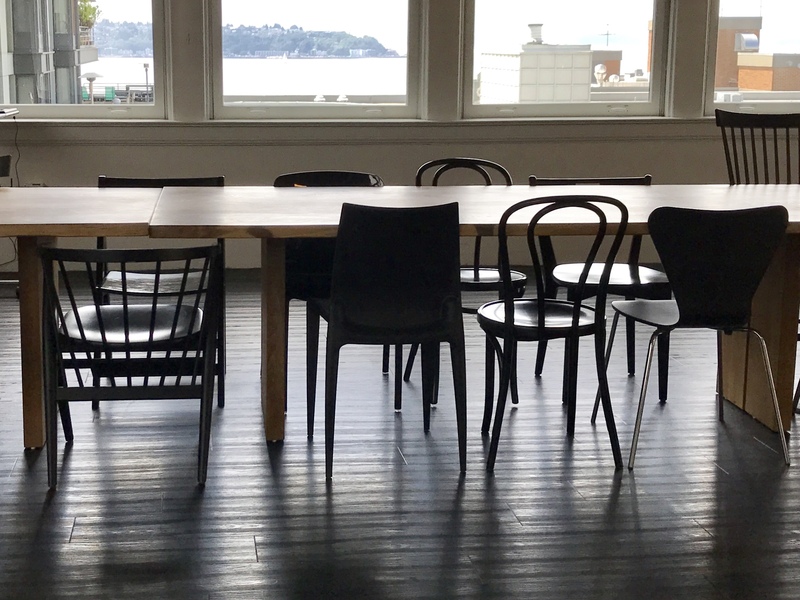 While sitting in the coworking space I find that I am oftentimes inspired to write, to create, or brainstorm with my team and apparently this isn’t unique. According to marine biologist and author Wallace J. Nichols, “a mildly meditative state characterized by calm, peacefulness, unity, and a sense of general happiness and satisfaction with life in the moment” is triggered when we are in, or near water. Life and work might seem high-stressed but at thinkspace it’s juxtaposed to nature, so harnessing that balance is accessible. When I’m perplexed or feeling confined, I’m literally a doorway away from the patio, or a walk along the waterfront. As I write this I’m looking at the water investigating my own thoughts, which are indeed introspective. If anything else, I’m inspired to show up because I love where I get to spend my day, and the work will come. If you’re interested in reading more about Nichols’ book here’s a great article from The Washington Post. Partner Spotlight is a weekly series introducing a company which provides unique offers for thinkspace members via our Perks and Benefits program. Every Monday, we shed light on their mission, showcase their passion for startups and small entrepreneurs, and present the value of their service. We would love to find out whom you would like to see as a partner in our Perks and Benefits program. Please comment and let us know! Tell me about inDinero’s an it’s mission. Darren Carter, Senior Finance Consultant: inDinero helps entrepreneurs build bigger and better businesses. 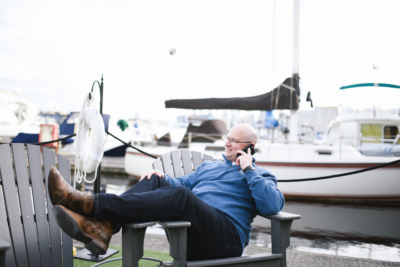 We didn’t just want to build accounting software: we wanted to completely change the way that business owners think about their operations, and taking care of all of their back-office affairs is our way of doing that. Today, inDinero supports hundreds of businesses across the United States, and we’re on a mission to support them as they grow. What is the value that you provide for entrepreneurs and startups that can’t be found anywhere else? We’re the only solution that combines powerful accounting software with live support from our financial consultants. We don’t hand off a product to you, for you to figure out how to use it or hire someone to do so. Our team helps hundreds of businesses in the United States who grow and scale while still remaining lean. What is the best part of your work as inDinero team? Seeing our clients succeed is the most valuable and rewarding experience – helping other businesses run smoother and grow quicker is deeply embedded in our mission and core values. The goals our clients set for themselves and their companies become our goals, and hardly anything makes us happier than seeing them move mountains and stir up the business landscape. It’s truly rewarding to be a part of that process. 3 qualities that make entrepreneurs/startups successful? Work ethic. If you’re not prepared to work preposterously hard, don’t be surprised if success always seems unattainable. Know your strengths and weaknesses. Don’t try to do everything yourself, even if you’re smart enough. Hire talent or outsource to services that free up your time and energy to focus on the things that you’re really, really (really) good at. Learn from your (and others) failures. Every entrepreneur and startup makes mistakes. The key is being able to learn more and faster from your failures (and the failures of those around you) than anyone else. To learn how your company can benefit from working with inDinero, or more information about the special offer for thinkspace members – contact us!